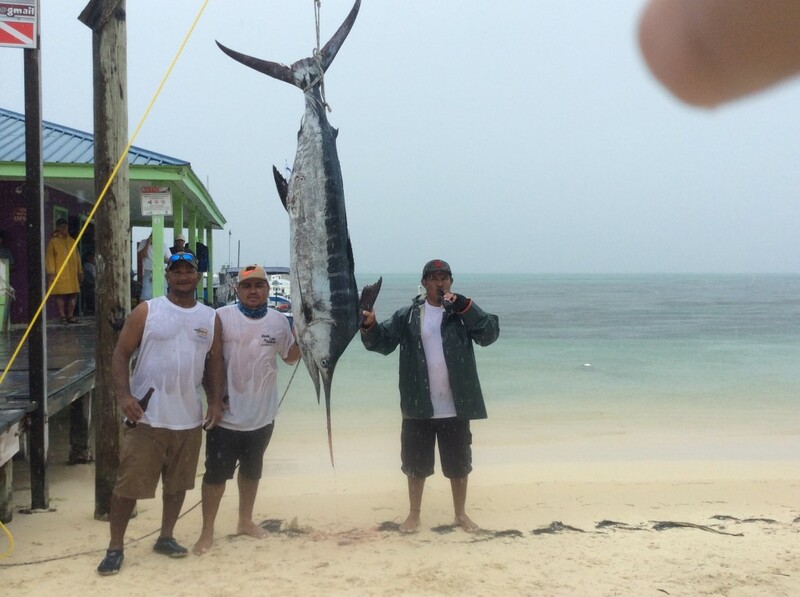 Fishing team Hook, Line and Sinker has won the 2nd Annual Captain Shark Billfish Fishing Tournament. 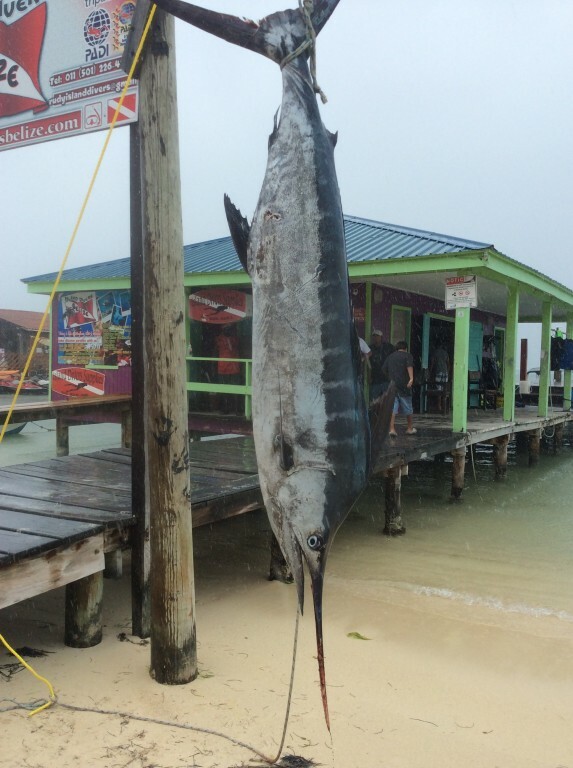 Organized by the San Pedro Game Fish Association, the event took place on May 17th and 18th and saw 16 vessels set sail on both days in an attempt to land the biggest billfish and take the top prize. Under both rain and sunshine, the competition brought out the best fishing folks from Belize, and after two days of intense fishing, it was Hook Line and Sinker, captained by Josh Reyes, that topped the tournament. Along with his crew members Tommy Burandt, Albi Godoy and Cord Olivia, the team walked home with a 1st place trophy and $5,000. 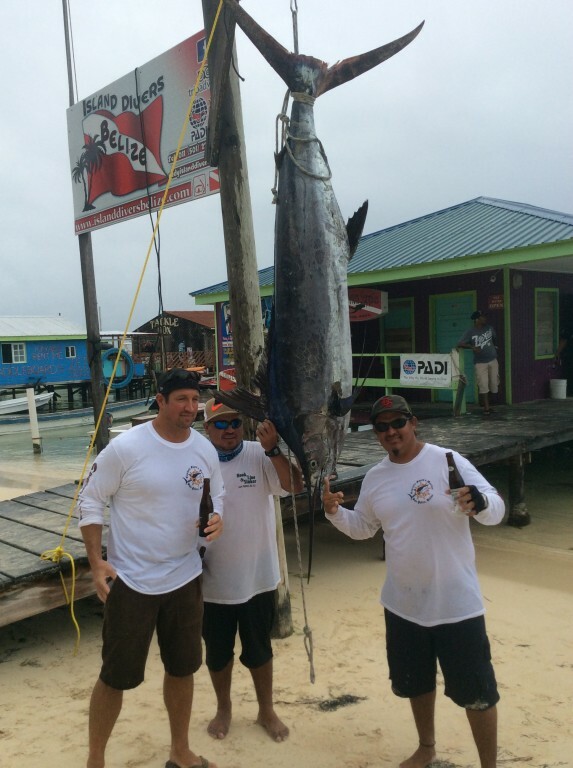 Second place boat was Fu D Road captained by Aldo Urbina of Orange Walk Town. Along with his crew members Rosendo Urbina, John Harris and Clara Urbina, Fu D Road took home the second place trophy and $1,500. Meanwhile Precipice, captained by Horace Bladen, had to settle for third place. Bladen along with his crew Horace Bladen Jr. and Allan DeShield, took home a trophy and $1,000 in cash. Consolation prizes were also distributed to fourth place, Jolly Man, captained by Andrew Roe and his crew of Mike Meighan, Brett Bowen and Denny Feinstein. Fifth place boat, Elodia captained by Daniel Nuñez and crew members Joshua Nuñez, Freddy Gonzalez, Emmanuel Samos and Rene Reyes Jr also received consolation prizes. Hook Line and Sinker caught the biggest Blue Marlin weighing 169.5 pounds (lbs), while Fu D Road caught the biggest Wahoo, weighing in at 33 lbs. The biggest Dorado, weighing 29 lbs was caught by Jolly Man and the biggest Tuna, weighing 7.5 lbs was caught by crew members on board Lainie Leslie. Top Female Angler was Carla Rodriguez, and she won $250. Hook Line and Sinker also won the first place Calcutta Pot which was at $2,700 while Fu D Road settled for second place with $1,300. The San Pedro Game Fish Association would like to thank all its sponsors; Captain Shark’s, Tropic Air, Strike Force Fishing, Castillo’s Hardware, Giovanni Marin and Caribeña Enterprises. Congratulation to all the participants and winners of this year’s fishing tournament.